Thanks for coming to see my newest skin rambling: DIY Maracuja Oil Face Serum. 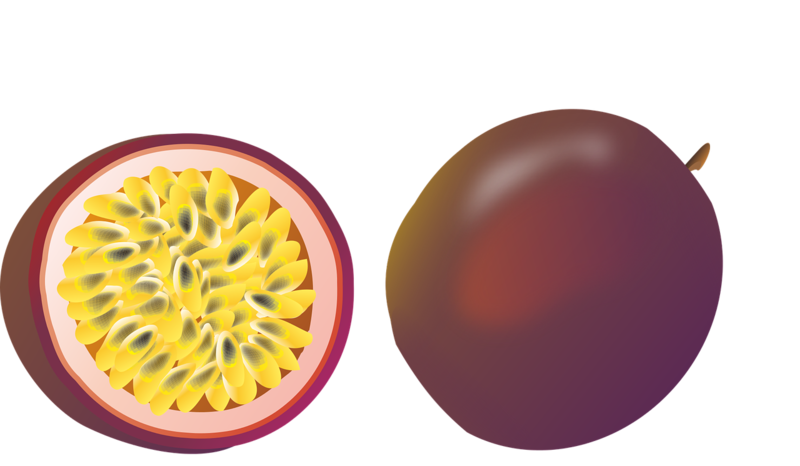 Maracuja Oil is actually the fancy name for “PASSION FRUIT OIL”! Gonna share all the benefits + my anti-aging, face serum recipe – via my latest VLOG POST BELOW! Like what you see? HIT THE “LIKE”, leave a “COMMENT”, or even better help me survive – “PLEASE SUBSCRIBE”!!! If you missed any recipe details or not a fan of videos. Just keep on’ scrolling… See it all in writing instead! ONE OF THE TOP NATURAL OILS USED IN SKINCARE – BECAUSE IT’S SUPER LIGHT ON SKIN! Personally, I use it all the time! But I don’t see much about it online like coconut or rosehip oil… Poor, lonely, miracle “Maracuja”! Never heard of this oil? Happy to do the intro! MARACUJA OIL ORIGINS – A Bit of History? 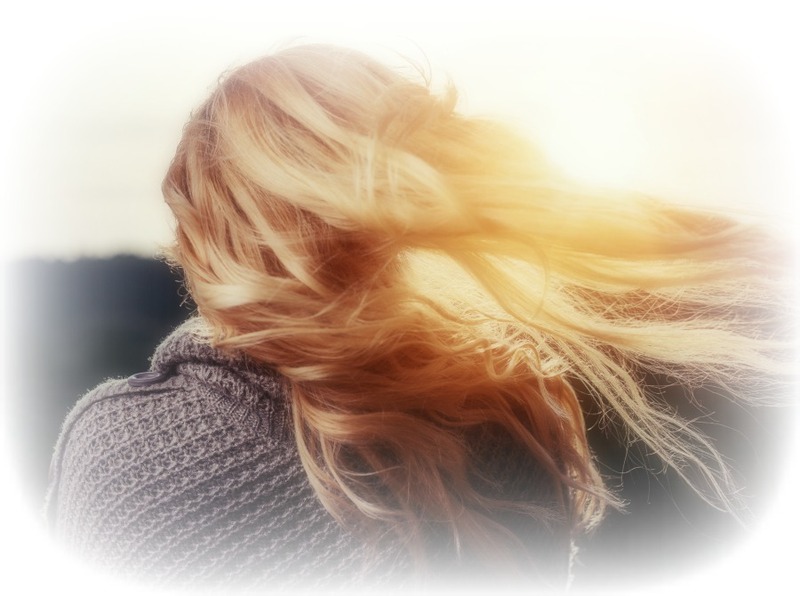 Not only is maracuja oil considered a miracle oil on SKIN– it’s amazing on hair! Plus, it softens + protects against frizzing & heat! LOOK FEEL, SCENT of MARACUJA OIL? Expect the oil to have a “bright yellow” tone. But, don’t worry it 100% goes CLEAR on skin! Yes, of course again – it’s SUPER LIGHT, quickly absorbed, no greasy film! SMELL wise, maracuja is kind of a sweet, fresh– reminds me of Apricot Kernel Seed Oil. Best skin types for Maracuja Oil = DRY SKIN! Although, it can be used by any skin type: sensitive or oily, mature or young… Another reason why I love this carrier oil so dang much! For this Maracuja Oil Face Serum recipe, I scored my oil via Leven Rose… You’re guaranteed with Leven Rose you’re getting a high quality, 100% pure, ORGANIC oil. Don’t cut corners when shopping for your DIY skincare… You’re going to be eating this stuff, well your skin is – so buy quality! Regardless of what new oil you’re testing on your skin. Always do a patch test first. You never know! 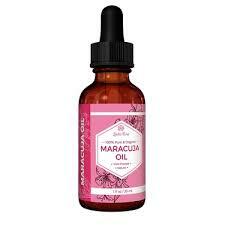 Use maracuja oil NEAT ON skin, or have fun easily blending with it too! Fill remainder of bottle (the other half…) w/argan oil. Hope you liked my latest skin secret MARACUJA OIL! Check-out my other DIY SKINCARE shares! Truly, this carrier oil is affordable, powerful, and works love on skin! 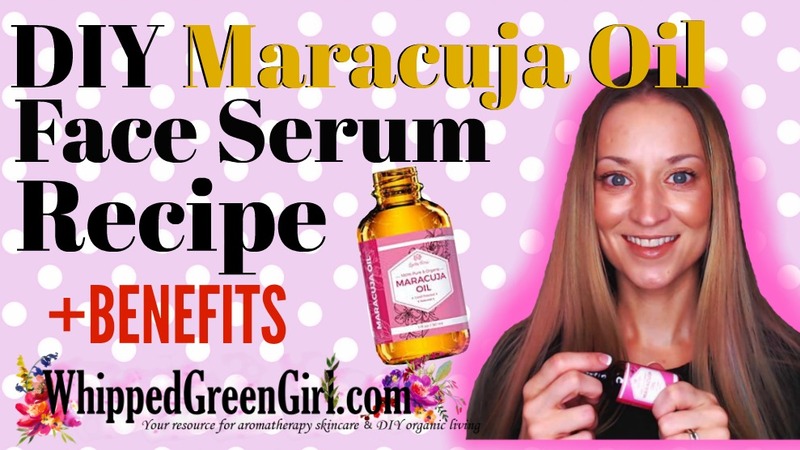 For the DIY Maracuja oil face serum recipe, how much of each into the dropper bottle? Is it a 1-1-1 ratio of the MO, Argan & Vit E or another ratio before you add in EO’s? I’vep used Tarte for over year now and loved it, but not the price. Just ordered Life-Flo brand MO, having no knowledge and very little online help, and have been using it straight. I’m not fan of the odor but it does disapate quickly. Is this not safe, using it straight? Hey Tracy! So sorry, I realized I forgot to include the directions and clear measurements in this post… I updated it with a much clearer “directions” section. Quickly though – fill half bottle with maracuja oil. Add in several drops of vitamin e oil + drops of essential oils of choice. Finish off, by filling remainder of bottle with argan oil. I’ve used the Tarte one too, it was too pricey for me too. I hope you’ll love going the DIY route!